A Florida gun prohibition lobbying group has turned a warning into a reality by proposing a state constitutional amendment that would ban possession of so-called “assault weapons” in the Sunshine State, according to the Tampa Bay Times, which comes as no surprise to Second Amendment activists in the Pacific Northwest. 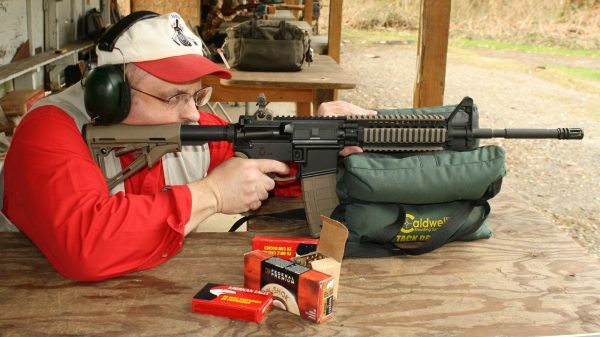 As Washington State grassroots activists fought passage of a citizen initiative in their state this year, they pleaded for help from gun owners across the country, warning that if Initiative 1639—a measure to crack down on so-called “semiautomatic assault rifles”—passed there, similar efforts would be mounted across the country. The initiative did pass by nearly a 60 percent “Yes” vote, and now the significantly worse effort has been launched at the far corner of the country. According to the Tampa Bay Times, the Ban Assault Weapons Now committee has raised “nearly $410,000 since March,” and they are scrambling to raise more. They have so far spent about $284,000. They will need to gather hundreds of thousands of signatures in order to get the proposal on the 2020 ballot, at which time gun rights activists will have a fight on their hands because that is the presidential election year and it will bring millions of Florida voters to the polls. Second Amendment grassroots activists can get an idea of the kind of campaign they will be facing by taking a look at the latest “gun control playbook,” this one produced by the Giffords group, named for its founder, former Arizona Congresswoman-turned-gun-control-advocate Gabrielle “Gabby” Giffords. She was wounded seriously in a mass shooting in Tucson a few years ago, and together with her husband, retired astronaut Mark Kelly, she has championed all manner of gun control efforts. Gottlieb co-authored a book about the gun ban lobby’s playbook in 2014 titled “Dancing in Blood.” It takes a hard look at how gun prohibitionists have created strategies to erode the rights of law-abiding gun owners. For Floridians bracing for an upcoming fight, it might become required reading. If this measure gets on the Florida ballot, gun owners there will be reaching out across the nation for support. Evergreen State gun owners might pitch in, or they might not because they asked for support and very little came, while the I-1639 campaign received financial support from wealthy elitists including billionaire Michael Bloomberg’s Everytown for Gun Safety Action Fund.